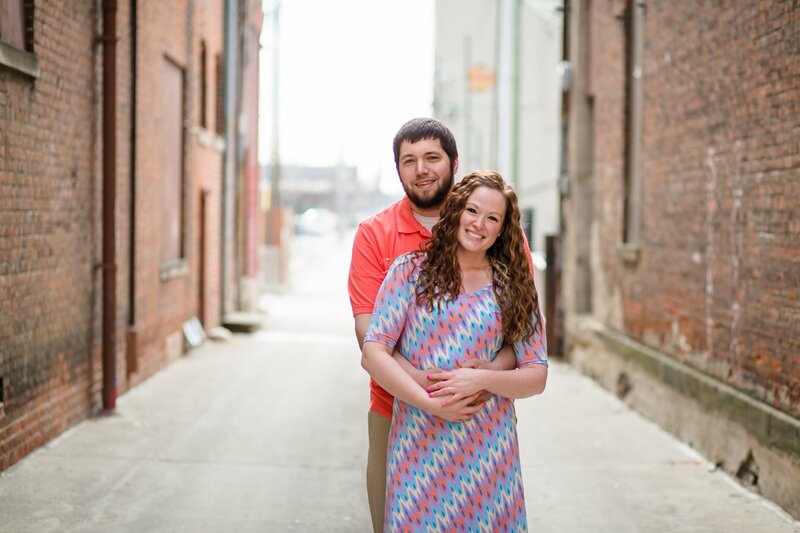 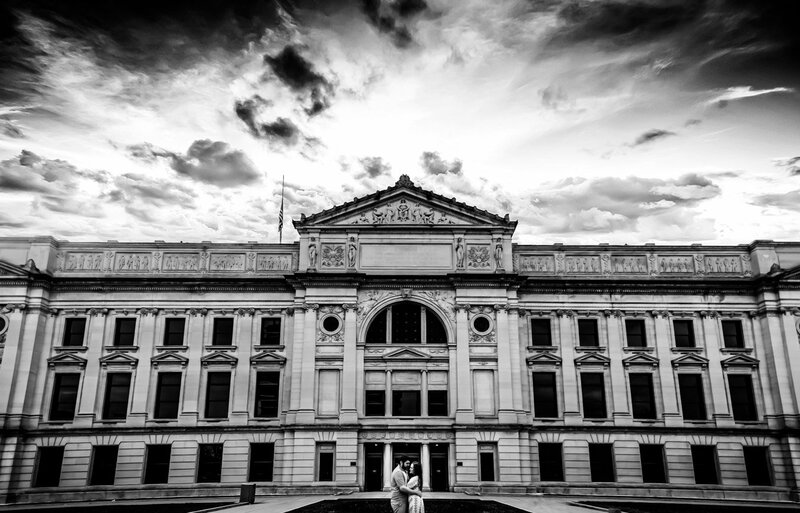 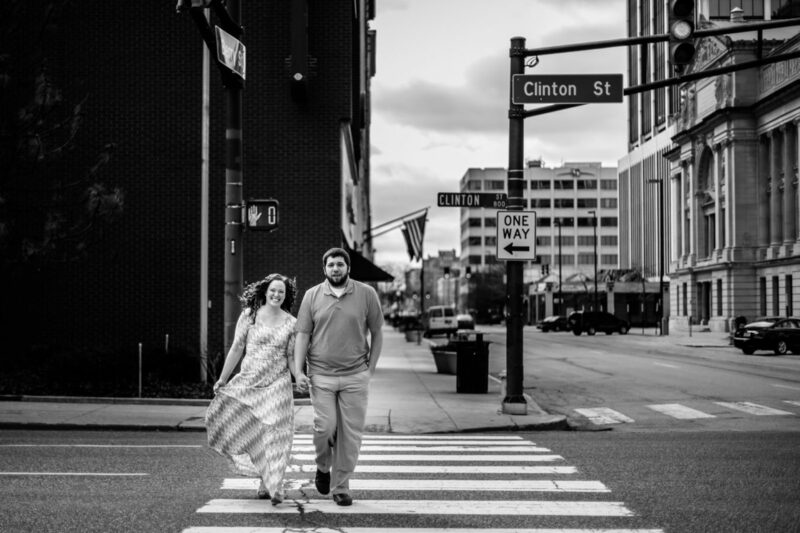 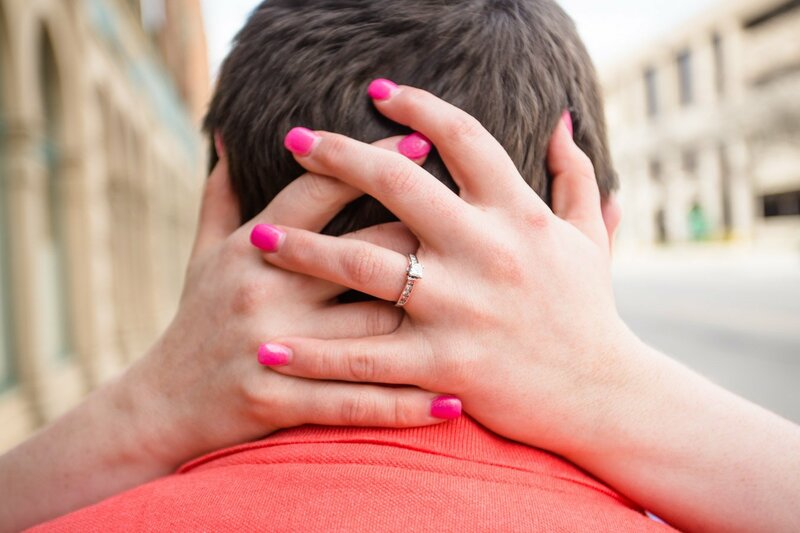 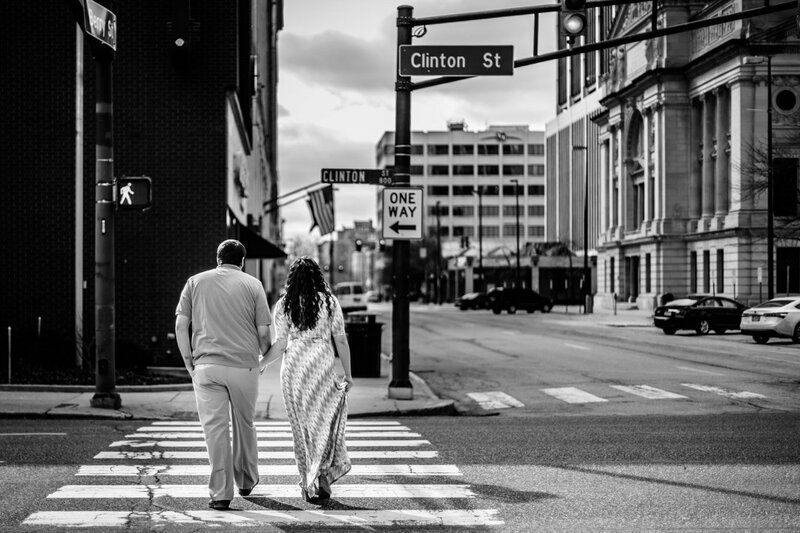 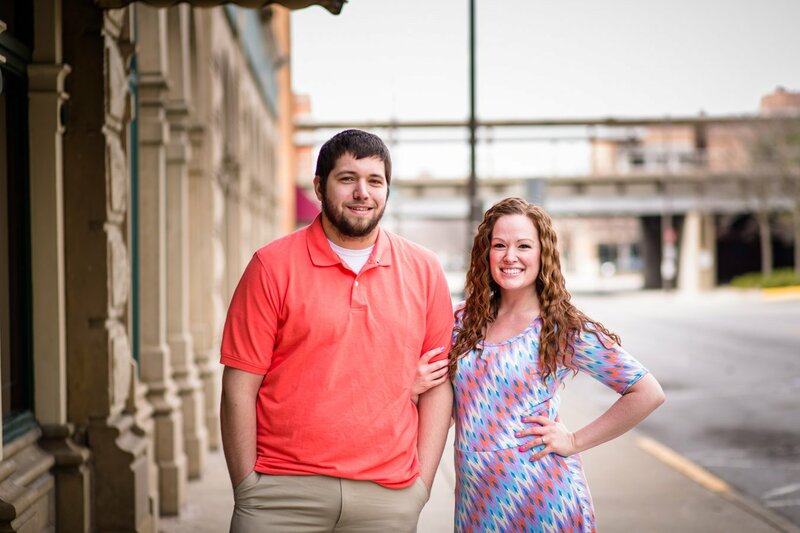 When we got out to do Sam and Trent’s Allen County Courthouse Engagement photos, we had no idea what was in store for us. 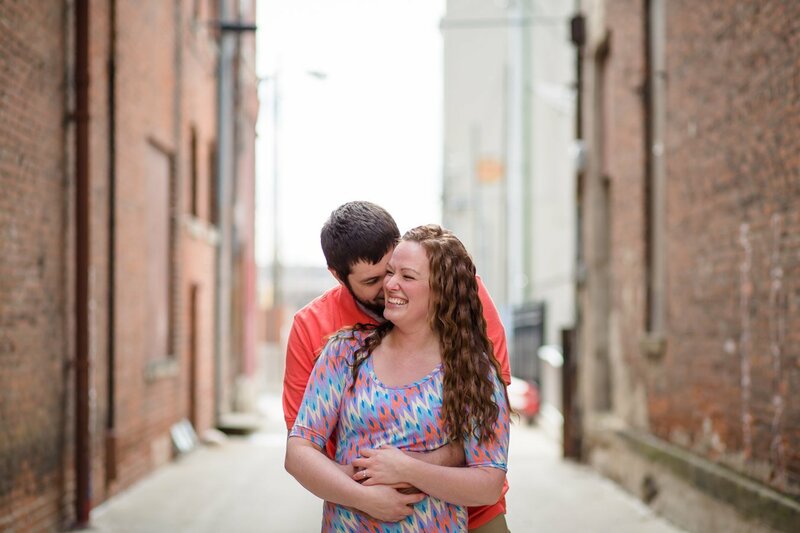 Ever had one of those couples that were so awesome and funny you almost ended up getting nothing done? 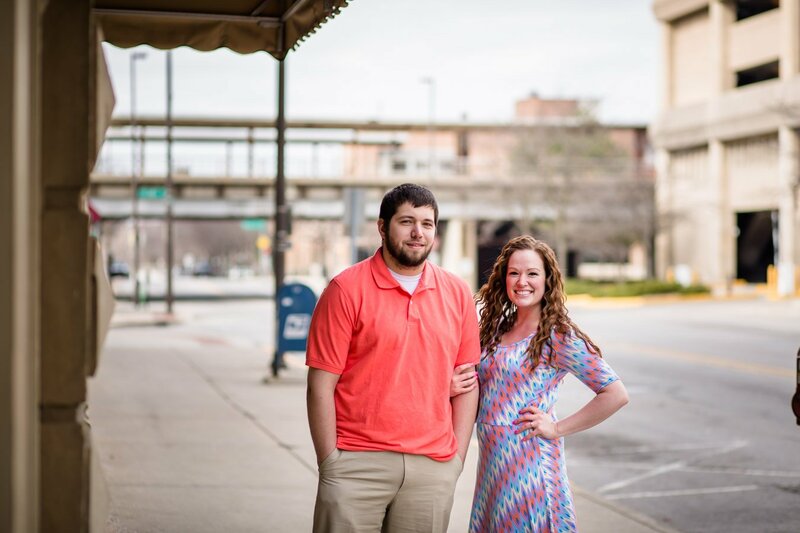 Well, Sam and Trent definitely top that list. 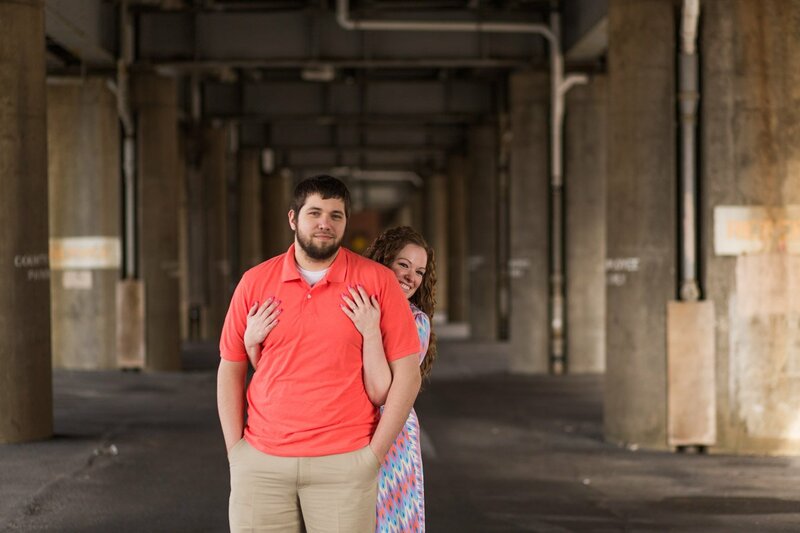 Most of the time, the men really don’t care for the photos, but they have to be there anyway because their lady wants them to be. 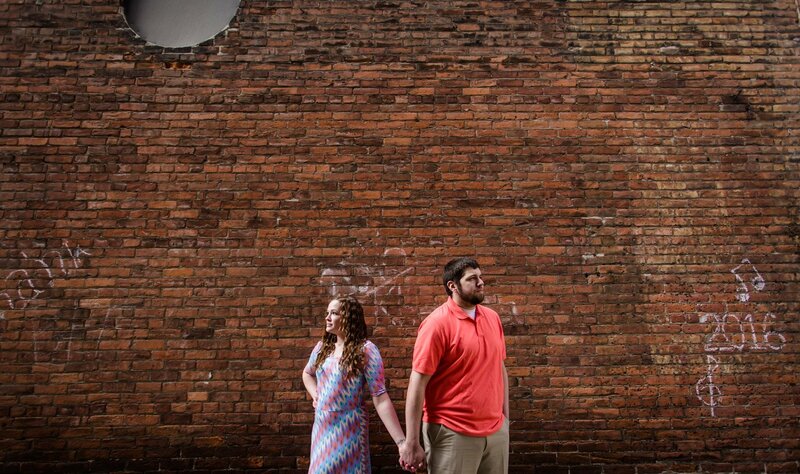 This was not the case. 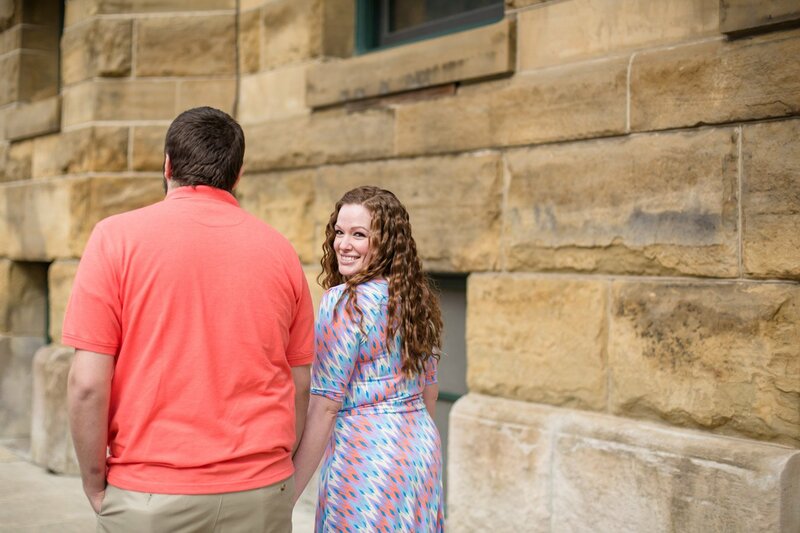 Well…Trent was there because he loves Sam, but also because he wanted to hang out with us. 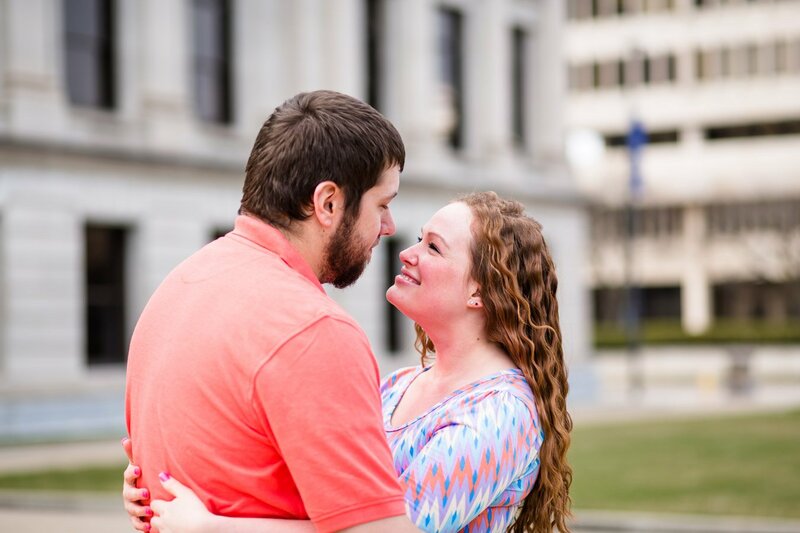 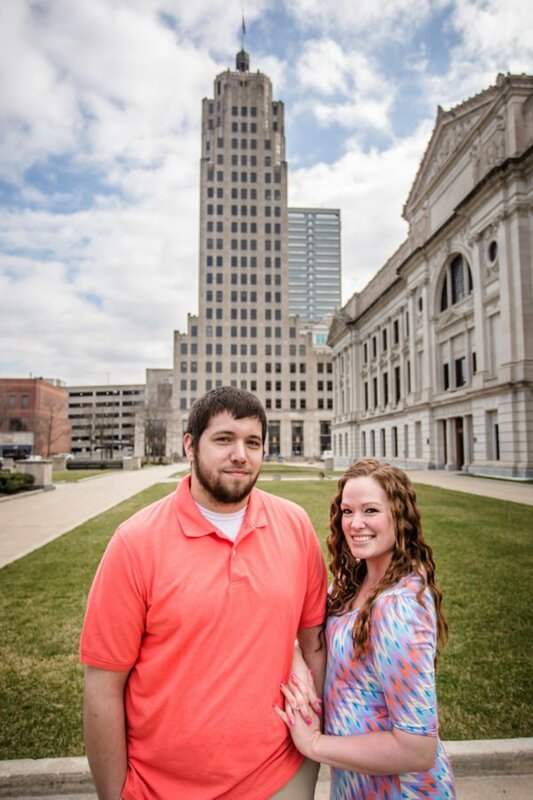 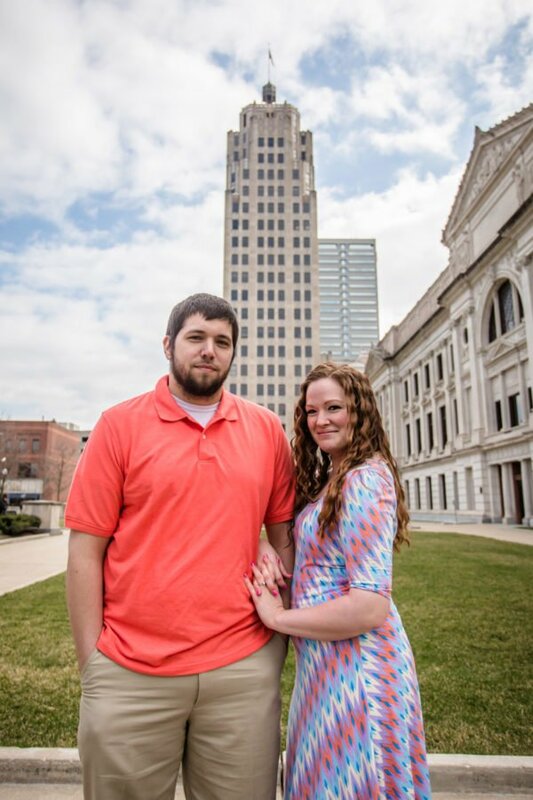 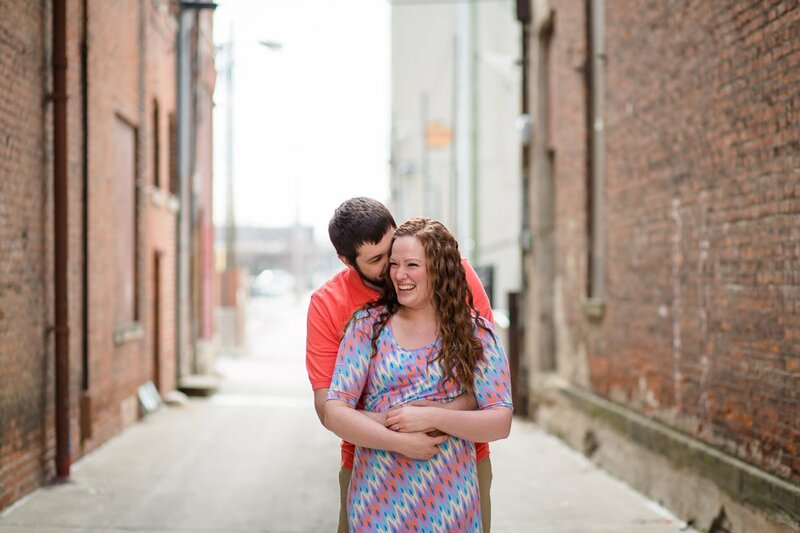 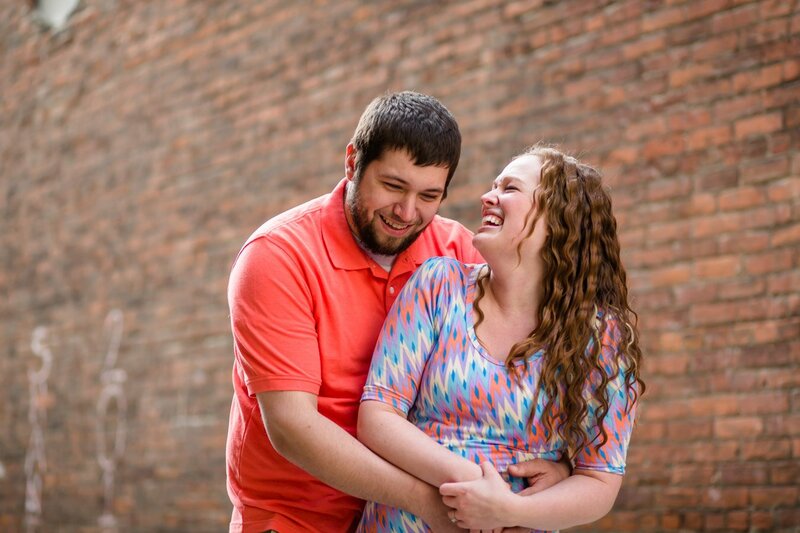 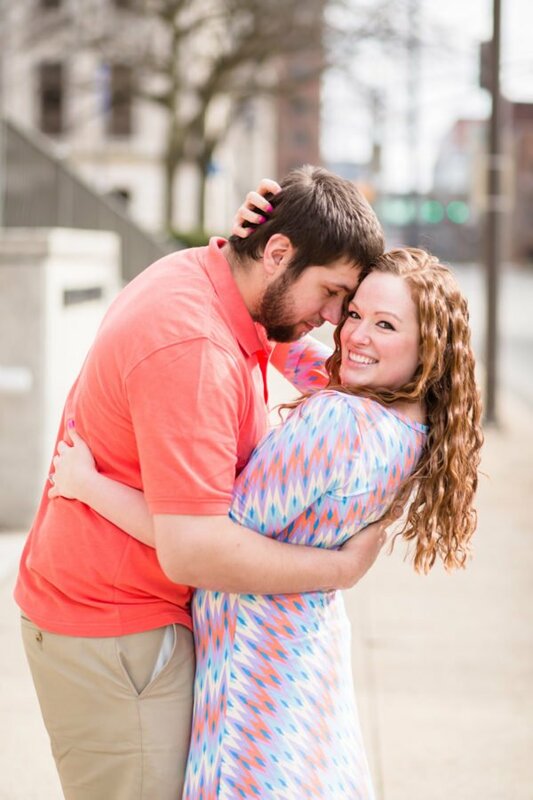 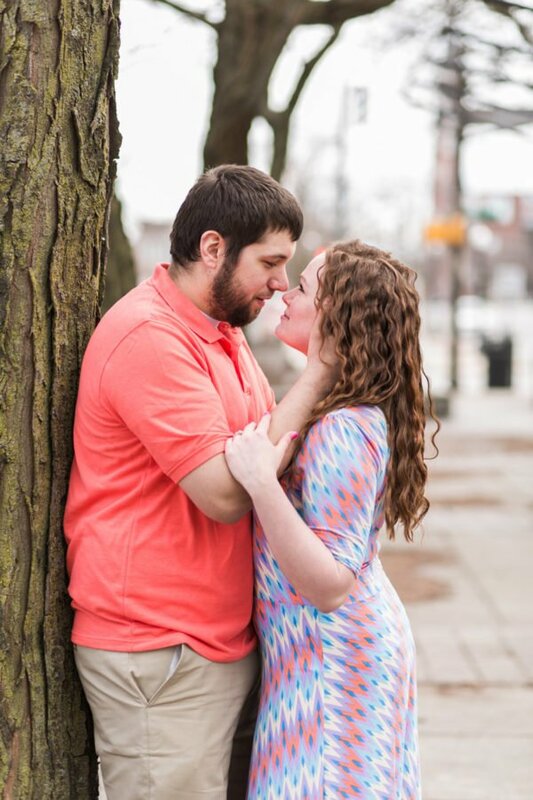 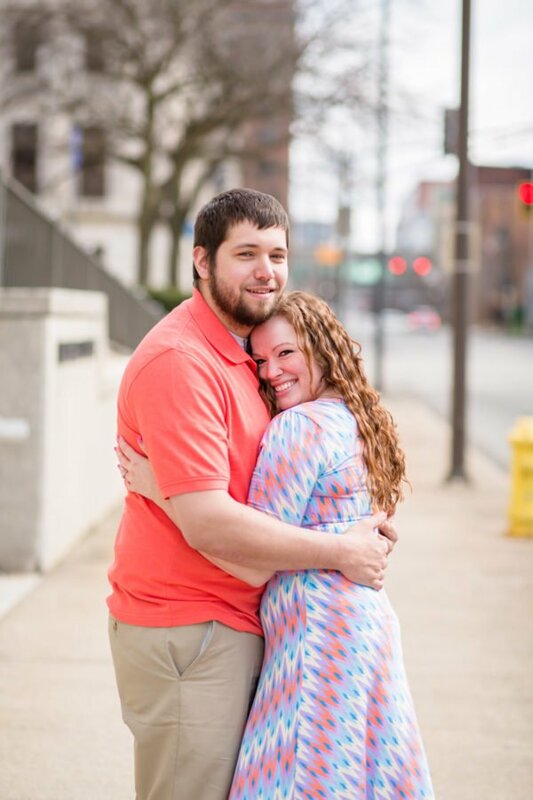 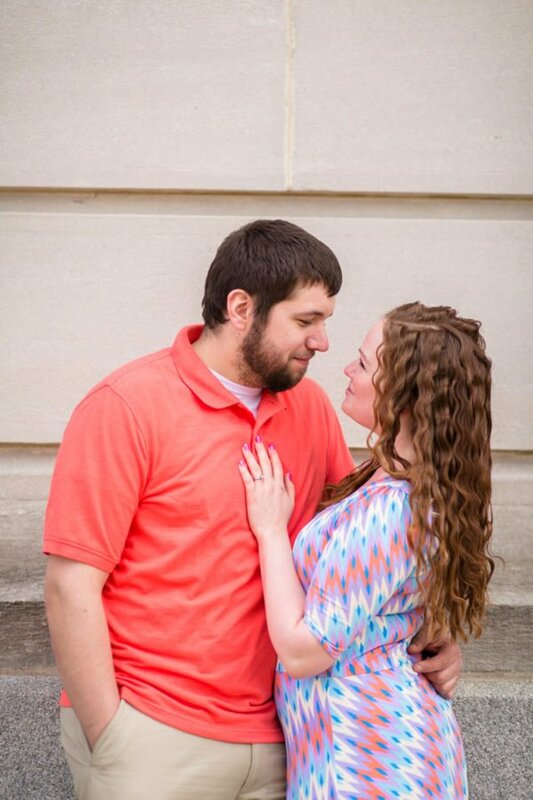 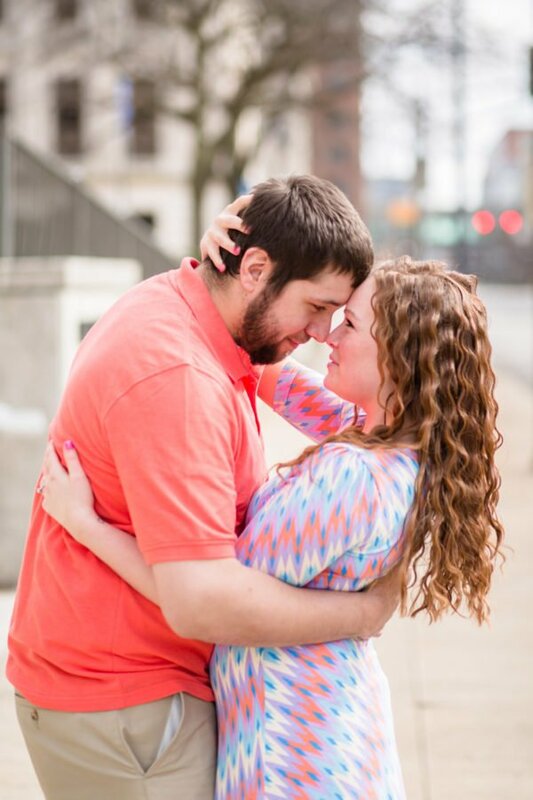 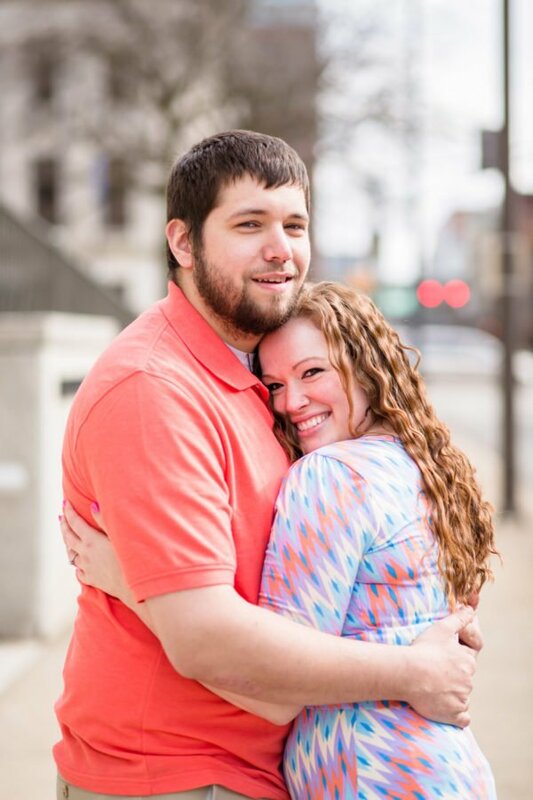 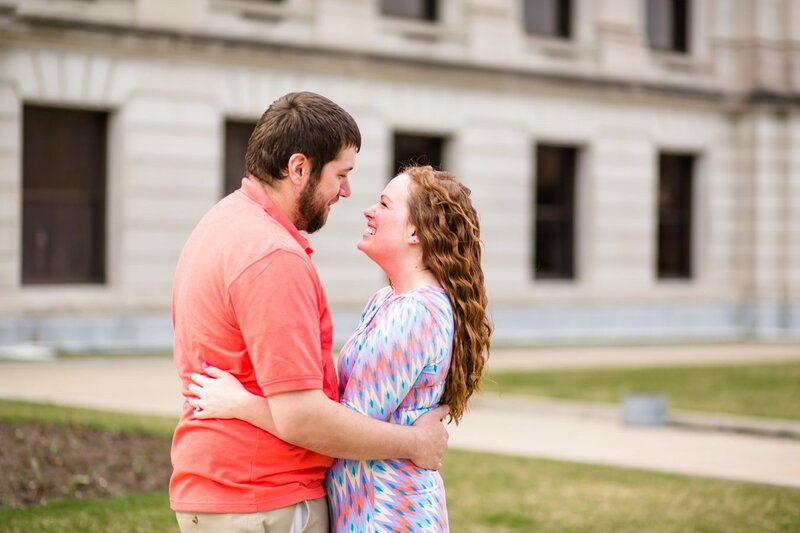 He ended up making us laugh so hard so much, that we had to “put him in check” to not make any jokes until we get their engagement photos done at the Allen County Courthouse. 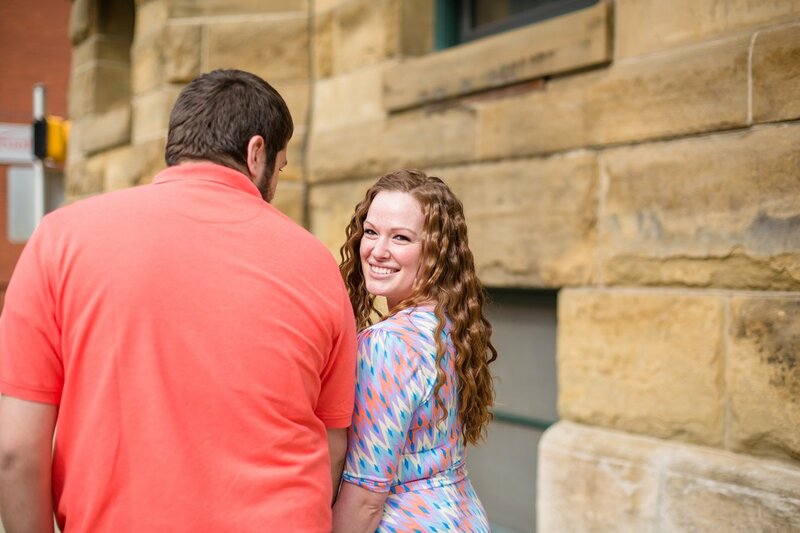 Sam was one of the bridesmaids and the best friend of the very first bride we photographed. 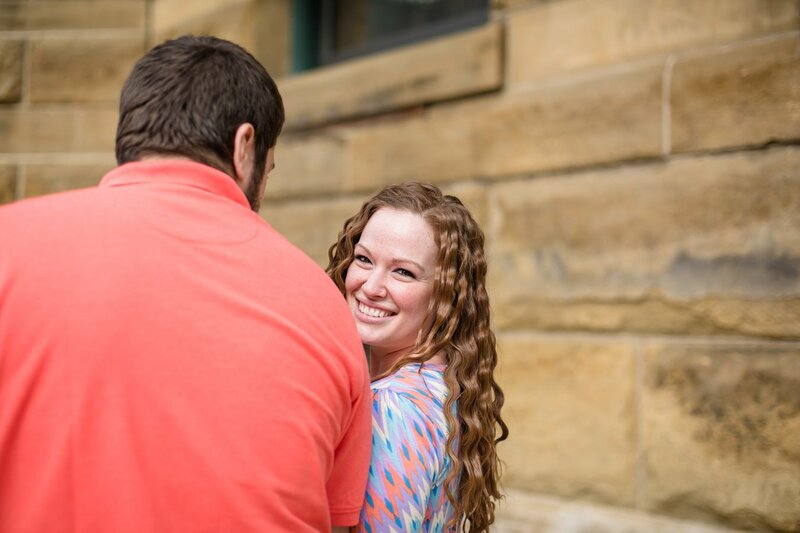 So there were no questions asked when it was her turn to be on the other end of the table as a bride to be. 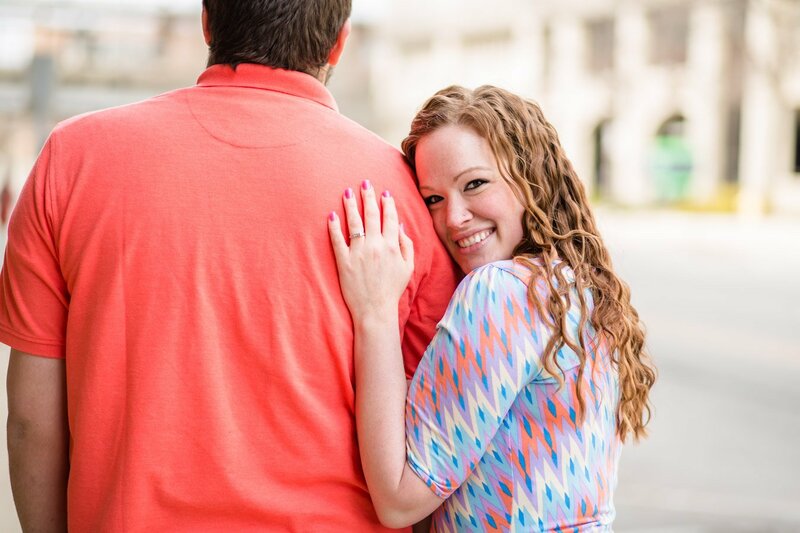 It’s always a great experience to get to hang with couples who really appreciate and value your time and presence. 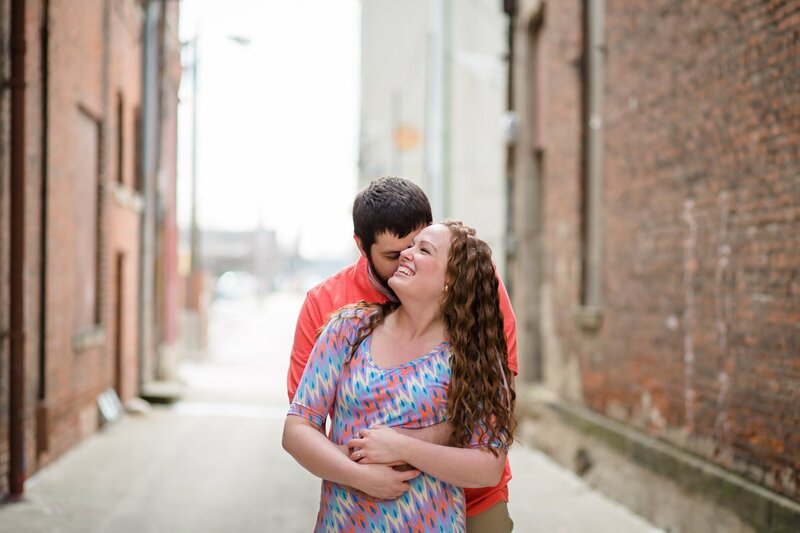 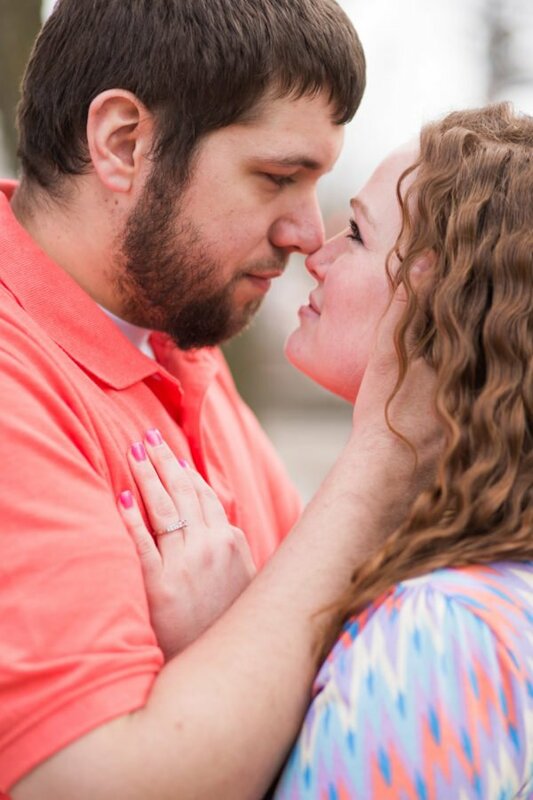 So pumped for you getting married, Samantha and Trent.